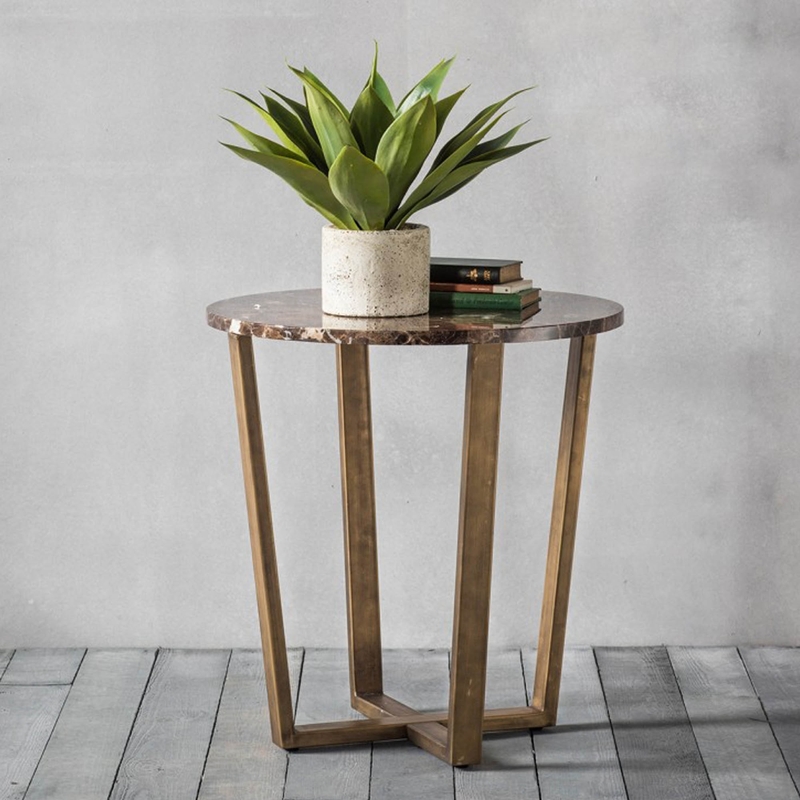 Beautiful round brown marble top, featuring gorgeous interlocked weathered wood effect legs, this Emperor Round Side Table will look stunning in your living or dining room. Perfect for displaying your home accessories or just keeping your room tidy, this brand new addition to our side table range is a must buy for anyone who is seeking to save some extra space. Made from the highest quality of materials, this round side table has been built to last.